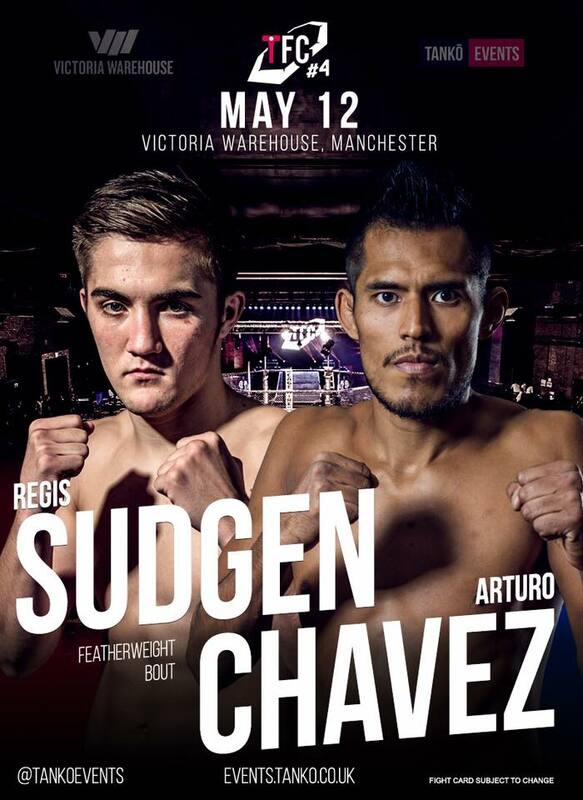 Newark’s Regis ‘The First’ Sugden will now face Mexico-born Featherweight Arturo ‘El Moreno’ Chavez when he makes his long-awaited return to the cage on Friday 12 May, following the withdrawal of his original opponent due to injury. The Suggy’s Gym striking sensation will be looking to add another decisive win to his pro MMA record when the two men go head to head on the card of the TANKO Events TFC#4 show at Manchester’s Victoria Warehouse. Going up against Arturo, Regis will be taking on an opponent who always fights away from home, has six wins as a professional that the Newark camp knows about and has never been stopped. “Now based in Stockholm and representing the world-famous All Stars Gym, home to the likes of Alexander Gustaffson, Jimi Manuwa and Niklas Backstrom, Arturo will be looking to bounce back from his last appearance in Glasgow where he dropped a razor-thin decision,” added Dean. “He’s had five fights during the time Regis has been side-lined due to injury and is regarded as the toughest Mexican out there so this will be a big test for Regis on his return to the cage. Doors at the Victoria Warehouse open at 6pm, with the first fight at 7pm. Standard tickets, priced £40 each, are still available from Suggy’s Gym in Newark or via the hotline 07816 840920; transport from Newark, at £20 per person and leaving at 5pm, is also available on request.